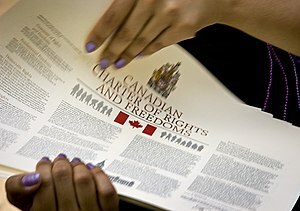 This entry was posted in Canadian Politics, Democracy, Quebec Politics and tagged Charter of Rights and Freedoms, electoral reform, Elizabeth May, Fair Vote Canada, first-past-the-post, Green Party, l'Association pour la revendication des droits démocratiques, proportional representation, separatism, Supreme Court by David Taub Bancroft. Bookmark the permalink. While I like your argument about the right way and the wrong way to bring about electoral change, I am still very interested in the outcome of the Supreme Court case. If the outcome supported the idea of proportional representation, that would give huge credibility and likely influence the public opinion that has so far resisted the idea. Yes, that is a good point; a win for proportional representation in the Supreme Court might have a positive effect on the opinions of some. What I fear, however, is that it would create a backlash among even more people — causing them to feel that the court is overstepping its role and thereby tainting all efforts at electoral reform. Most of all, I believe that voters have the right to choose any electoral system they want, and therefore that a referendum is the appropriate vehicle for any such change.